Acceptor-doped perovskite oxides like BaZrO3 are showing great potential as materials for renewable energy technologies where hydrogen acts an energy carrier, such as solid oxide fuel cells and hydrogen separation membranes. 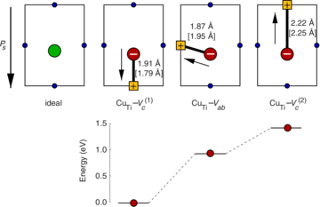 While ionic transport in these materials has been investigated intensively, the electronic counterpart has received much less attention and further exploration in this field is required. 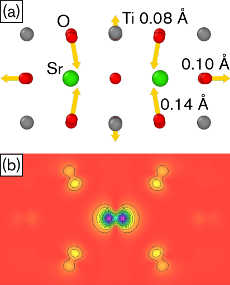 Here, we use density functional theory (DFT) to study hole polarons and their impact on hole conductivity in Y-doped BaZrO3. Three different approaches have been used to remedy the self-interaction error of local and semilocal exchange-correlation functionals: DFT+U, pSIC-DFT, and hybrid functionals. Self-trapped holes are found to be energetically favorable by about 0.1 eV and the presence of yttrium results in further stabilization. Polaron migration is predicted to occur through intraoctahedral transfer and polaron rotational processes, which are associated with adiabatic barriers of about 0.1 eV. 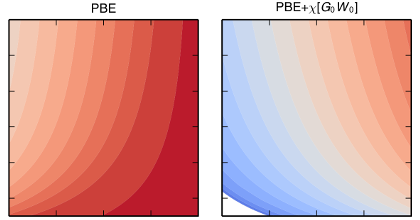 However, the rather small energies associated with polaron formation and migration suggest that the hole becomes delocalized and bandlike at elevated temperatures. These results together with an endothermic oxidation reaction [A. Lindman, P. Erhart, and G. Wahnström, Phys. Rev. 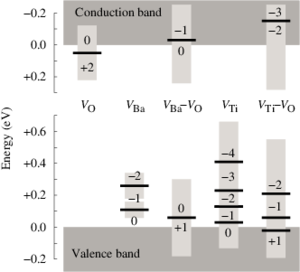 B 91, 245114 (2015)] yield a picture that is consistent with experimental data for the hole conductivity. The results we present here provide new insight into hole transport in acceptor-doped BaZrO3 and similar materials, which will be of value in the future development of sustainable technologies.